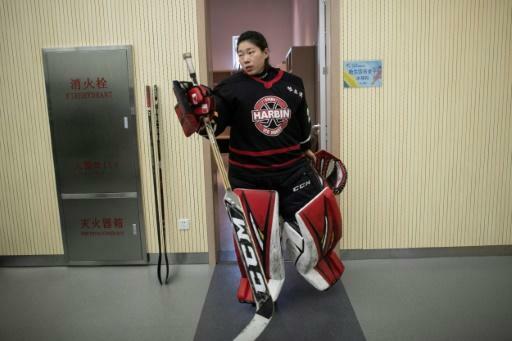 The women from China's far northeast, who spent childhood winters whipping around on frozen lakes and rivers, towered menacingly over the other team as they faced off for puck drop. At China's national ice hockey championships last month, the Harbin squad vanquished contenders from China's sultry southern city of Guangzhou with a lopsided score of 51-0, with goal-scoring MVP Kong Minghui slapping shot after shot into the net. Despite their dominance, Kong and her skillful team-mates may not be enough to power China's national team to medal glory when the country hosts the 2022 Winter Olympics in Beijing. Eager to move up in the medals table, the national hockey team may bend the nation's rigid single-citizenship rules to recruit overseas talent and beef up their squad. "What we have to do going forward is play in more international tournaments and get more practice playing with top teams," Kong told AFP. With a population of nearly 1.4 billion, China is pushing hard to promote ice hockey and other winter sports ahead of the Games after winning just nine medals, including a lone gold, at this year's edition in Pyeongchang, South Korea. Both China's men and women hockey teams will compete in the Games, since host countries traditionally earn a spot in the competition regardless of world ranking. Out of 25 players on the South Korean men's ice hockey team during the Games, seven were foreign nationals with six coming from Canada, including goalie Matt Dalton. "There's been no official policy saying this, but recruiting policy has been clear throughout tryouts in North America. New recruits must have at least some Chinese ancestry," Dreyer told AFP. Such a move would allow China to expand its player pool, while encouraging engagement with the Chinese diaspora -- something Beijing has been keen to do at all levels. "Would the players be able to keep their other passports? If this does somehow happen in ice hockey -- which now seems possible -- we would likely see other sports following suit," Dreyer said. 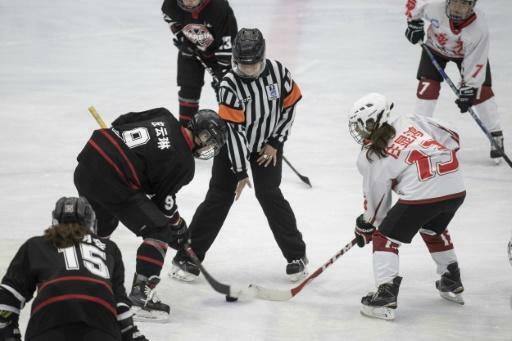 In March, at the Canadian Women's Hockey League final, China burst onto the international hockey scene with a new squad that was a special mix of Chinese nationals and overseas Chinese. The Kunlun women shocked hockey observers by making it all the way to the Clarkson Cup finals in Toronto, narrowly losing to Ontario's Markham Thunder after an overtime goal -- but proving that Chinese teams can compete with world-class clubs. Participation in Kunlun is optional for China's national team players, and provides them with more opportunities to play in top world tournaments. "(We) are now choosing the best Chinese and overseas players to cultivate talents for the Chinese women's hockey team for 2022," Kunlun manager Zhou Song told AFP. "We assembled 22 outstanding overseas Chinese-origin players. They will have a chance to fight for their country in the future," Zhou said, notably calling China "their country" despite them being foreigners. Supportive family members say the promising performance of female players in particular will also help to improve women's overall status as professional athletes. "I didn't want my daughter to play hockey at first. I wanted her to focus on school. But within 30 minutes of being on the ice for the first time, she seemed like she was at home," said Yang Dong, father of Harbin player Yang Kai Qi. "We are very proud of her."